Having waited a long time and enduring a hard labor, you will finally have your baby in your arms. She would be so cute, small and fragile and you would want to give her everything you have. 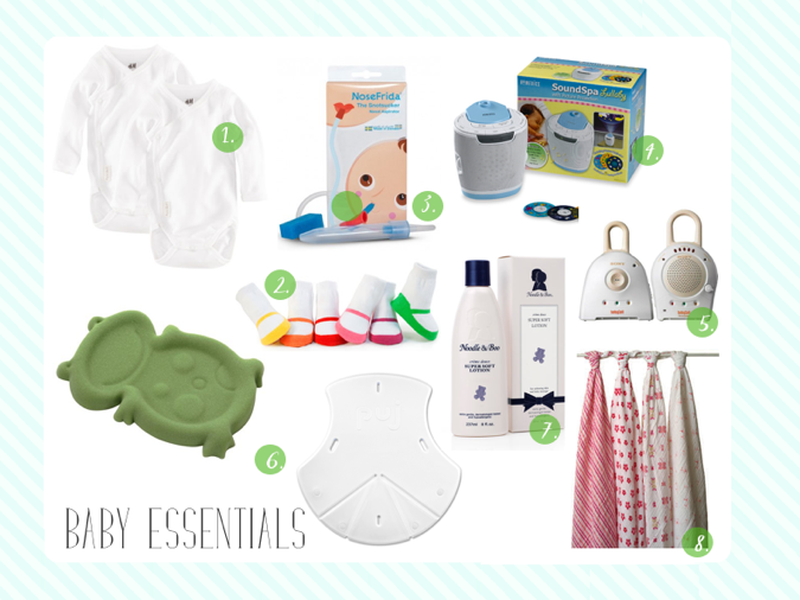 As you prepare for the arrival of the baby, the newborn checklist below can help you determining the baby essentials that you must buy and keep at the ready. The bathing items are included in the baby essentials that you must have at your disposal when bathing your new born baby. Bulb syringe nasal aspirator for suction of excess mucus from the mouth and nose of the baby. The items are considered as essentials for baby when you are feeding him/her. The sleeping items are included in the baby essentials that you must have at your disposal when putting your new born baby to sleep. The baby medicine cabinet items are included in the baby essentials that you must have at your disposal to make sure the baby remains healthy.  Fever reducing/pain relieving medicine. Never give aspirin to the baby.